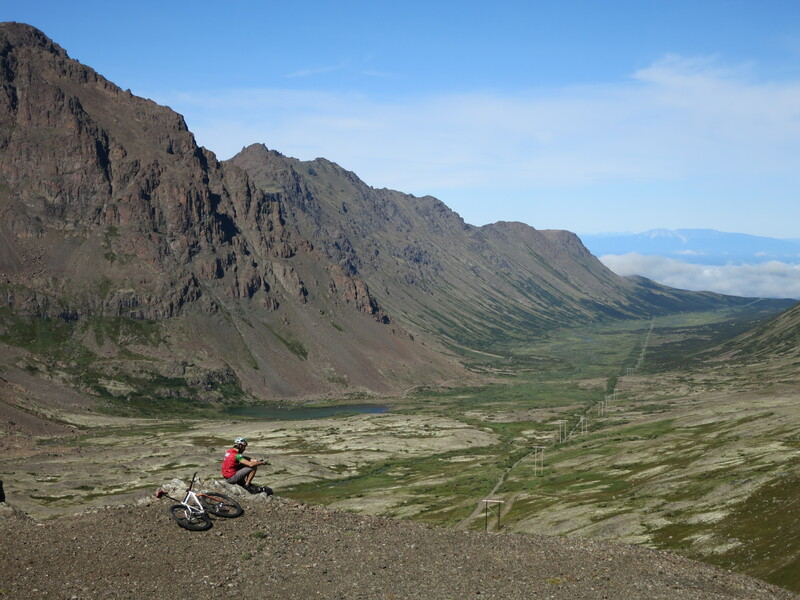 When you think about biking North America, you probably don’t think of as far north as Alaska right? 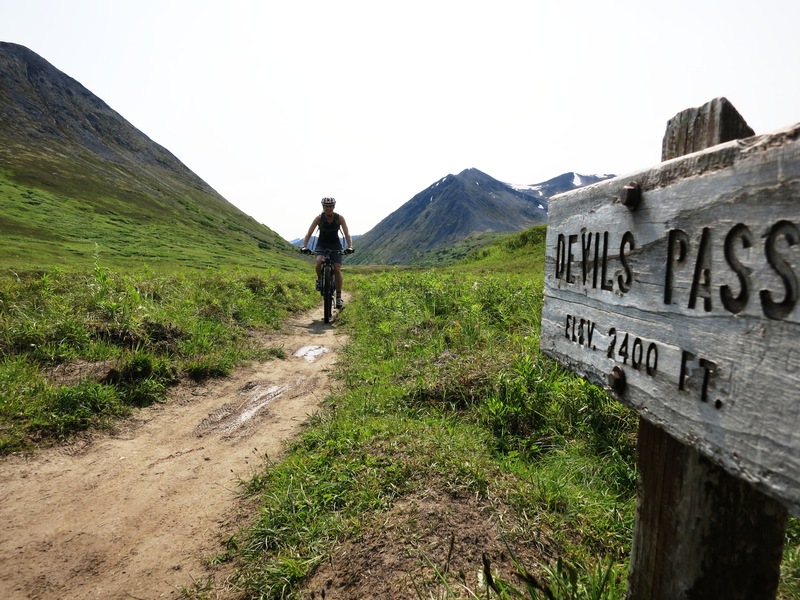 Say “Alaska” and most people think glaciers, cruises and dog sleds. We had planned a trip to visit family in July, then we found out the SingleSpeed World Champs 2014 was on in Anchorage so the deal was sealed! We booked it and started hunting around for trails to explore and races to ride while we were there. We found The Soggy Bottom…an Imperial Hundred, organised by Carlos from the Alaska Endurance Association. 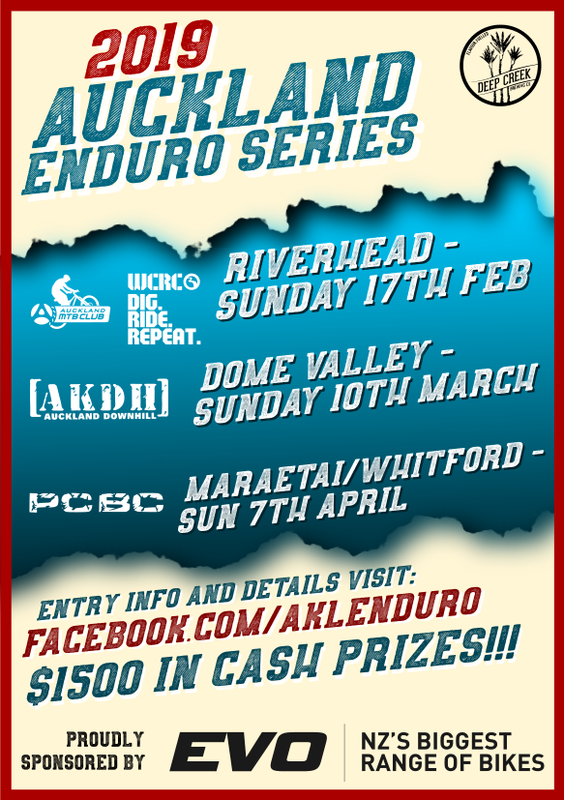 A small local event, with a maximum of 60 riders allowed. I wasn’t 100 percent convinced I would be able to finish, but we filled in and posted (yes posted) our application forms anyway. Tad got the OK. Carlos was not sure about me, as it was my first time riding in Alaska. To be perfectly honest, I wasn’t so sure about me either! In the end, we compromised and I entered the 85 mile Petite Bottom (140 km) with a handful of other riders. 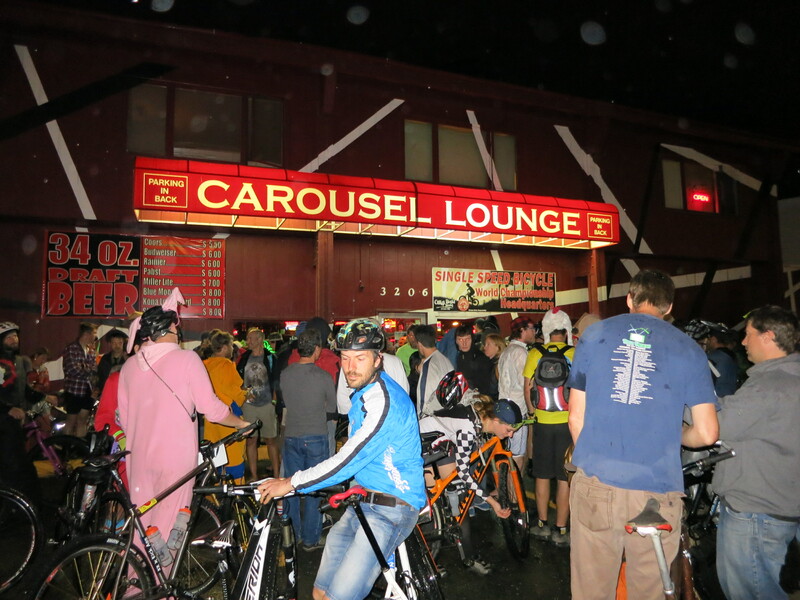 We arrived the weekend of the SSWC and joined the excited crowds of SS riders, while the locals tried to get their heads around a race with beer and tattoos for the winners. The SSWC 2014 promised to be a shitshow and unfortunately, it was just that… But that has been covered in the articles and FB debates already, so I’ll skip it. Except to say that the course at Kincaid park was great – 3 different loops – one old school, rooty trail, a newer section with big berms and tabletops and one that took us out the coast with a big hike-a-bike up and over the sand dunes and spectacular scenery as a backdrop. Thanks to the Anchorage trail fairies for those fun times! 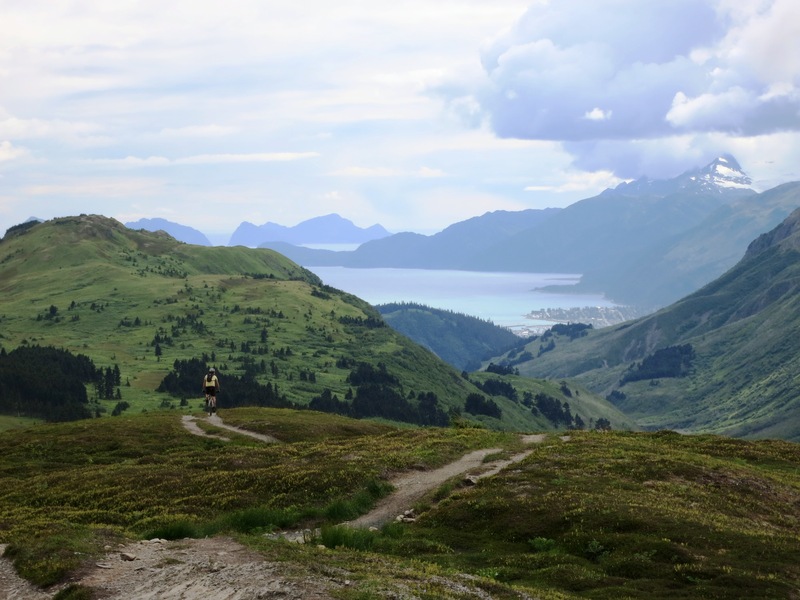 The next few weeks we spent exploring trails around Anchorage (Hillside, Powerline Pass) and the Kenai Peninsula (Russian Lakes, Lost Lake and Bear Lake). The trails are excellent, but get overgrown pretty fast during summer with 18 hours of daylight! With only my “bear bell” for protection, I was pretty nervous about coming face to face with a surprised bear (lucky that only happened once and it was smaller than us). Then came the Soggy weekend. We headed over to the small town of Hope with our awesome support crew (thanks Kristyna) and set up camp. P.S. Tad thinks the NZ MTB scene is missing an Imperial Hundred event.